Wow… what a difference in scenery! And culture! Going from 2 weeks in Lombok, Indonesia to Singapore is about as far apart on the travel spectrum as you can get. In Lombok the streets are lined with bamboo huts that house storefronts on the street side, and the families’ homes in back. 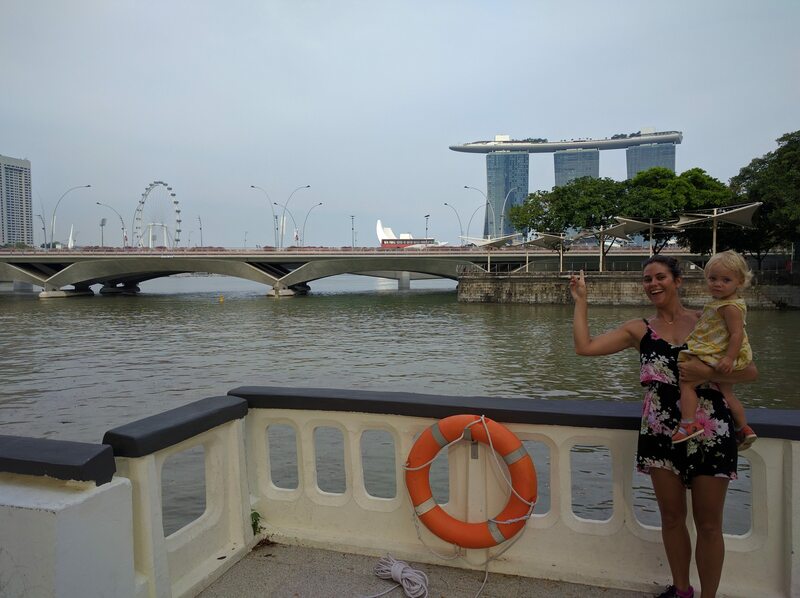 Singapore… if you’ve ever heard… is riddled with ridiculous high-rises housing financial institutions and apartments complexes. 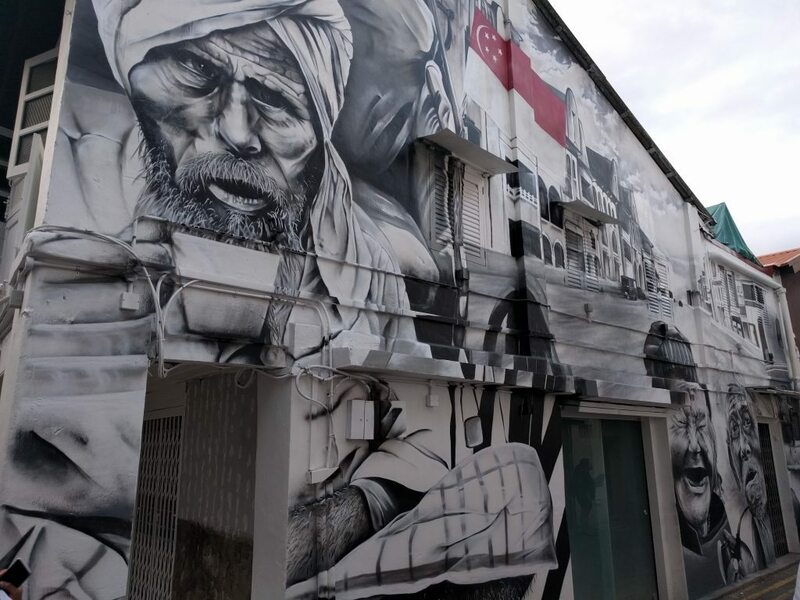 While we were strolling around Arab Street, I just thought this was really cool. A guy was painting this with white and black spray paint as we walked by. After taking in our surrounding at the ‘new’ Lombok airport, then arriving at the Singapore airport, we had a good idea of the changes we were in for. In Singapore we traded in our exhaust-filled moped tours for the nearly sterilized clean public transportation tours. We traded the inescapable heat in Lombok for the sub-zero air-conditioning of every public space offering solace from the heat and humidity in Singapore. We traded trash-lined streets and beaches for one of the cleanest cities containing signs everywhere threatening fines for littering. 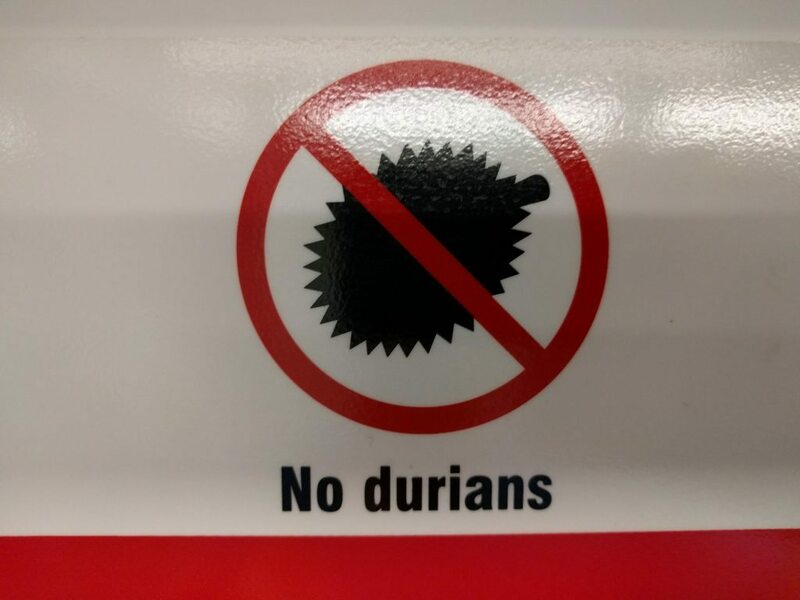 The public train system didn’t even allow food or drink on it’s trains, and went one step further to cut down on stench by posting ‘NO DURIAN’ signs on each train. Riding the sterile public transportation system in Singapore. So clean and easy to use. This was the best public transportation system I’ve ever been on. Another ride on the MRT. 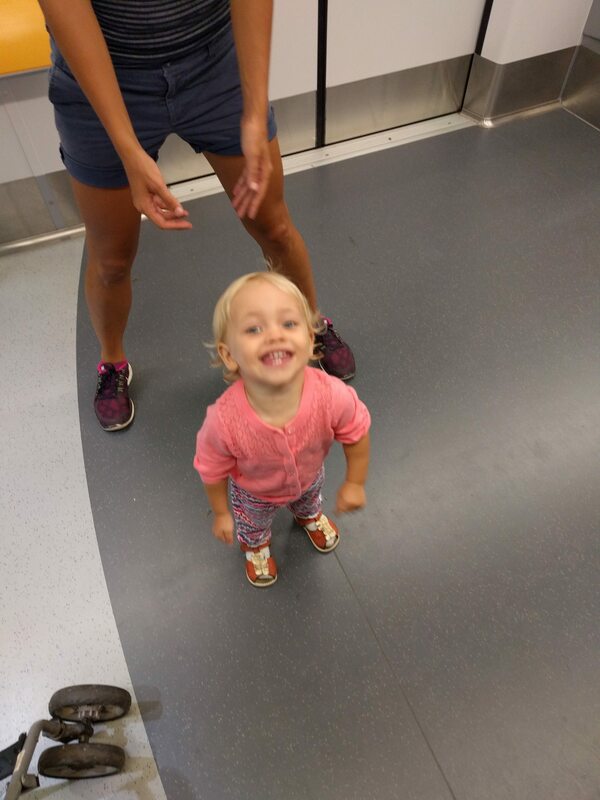 Freya had a good time on the trains, and we were pretty relaxed because of the cleanliness. Although it’s durian season and people love this fruit (? ), the stench of it does not go unrecognized. These signs exist in all the MRT train cars. I greatly appreciate Singapore’s efforts! In Singapore we were able to visit my cousin from my dad’s side of the family. 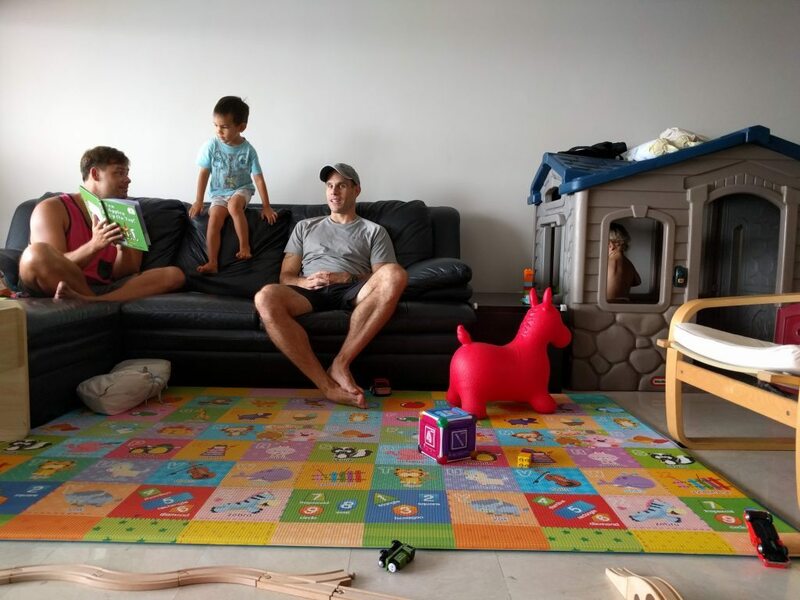 He and his wife (and three boys, ages 4 years, 2 years and 2 months) have been living in Singapore for over 6 years. It was great to hang out with family and catch up. It was also great for Freya to play with her cousins… and toys! 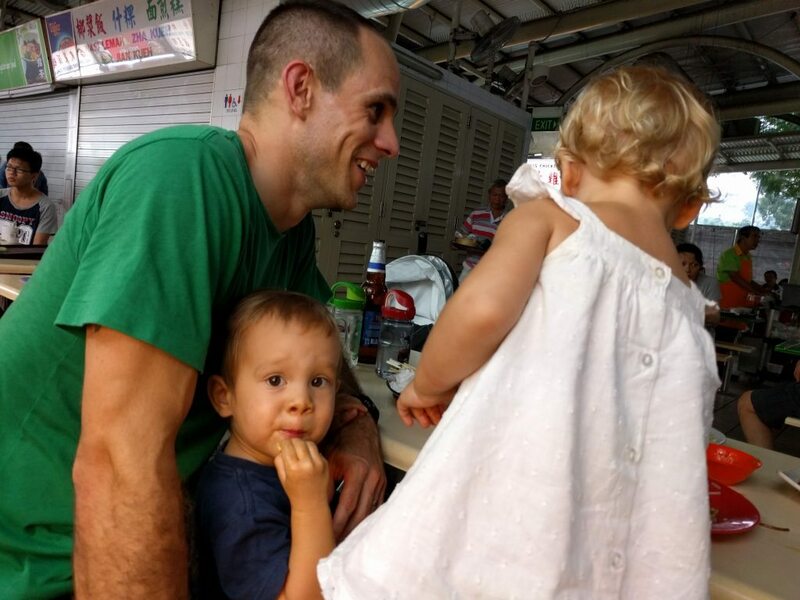 Getting to hang out with family in Singapore was a real treat. Freya got to play with her cousins 3 days in a row. We have been traveling since January 5th, but we have been without a home to call our own since December 23rd of last year. This has been such a great experience for us and Freya. Each day, the world is Freya’s playground. She touches, picks up, ingests, walks, runs, falls, explores, climbs and falls even more. 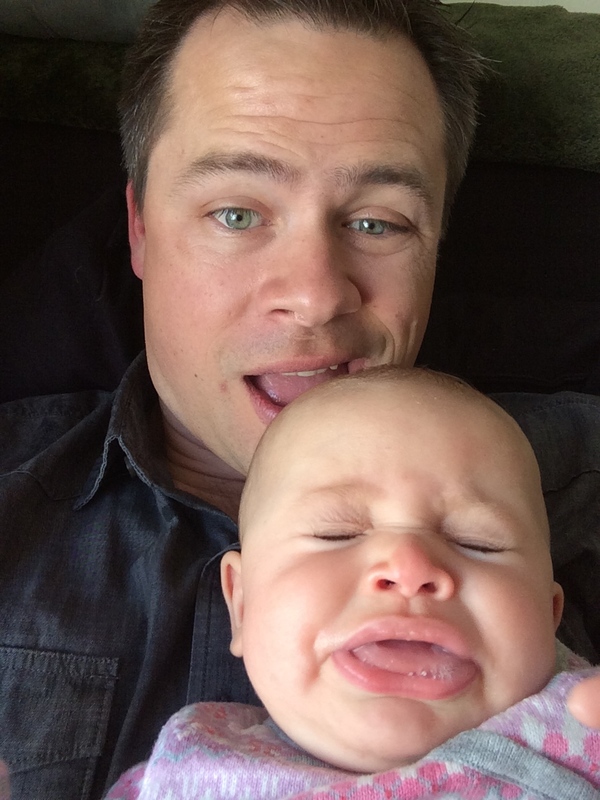 However, we have entered into a phase of Freya’s growth where we becoming more cognizant of our parenting. We have begun to see the affects of the word ‘no’, and when the entire world is your playground, the word seems to be used a lot. So, being able to hang out with my cousin and his family was a very welcome treat. Jannika and I didn’t realize it initially, but being in a home that is set up for children made parenting easier. The word ‘no’ was almost completely removed because the house was lived in with three little boys. We are very thankful to have been welcomed into their home because it really made us think about what we want in our near future. 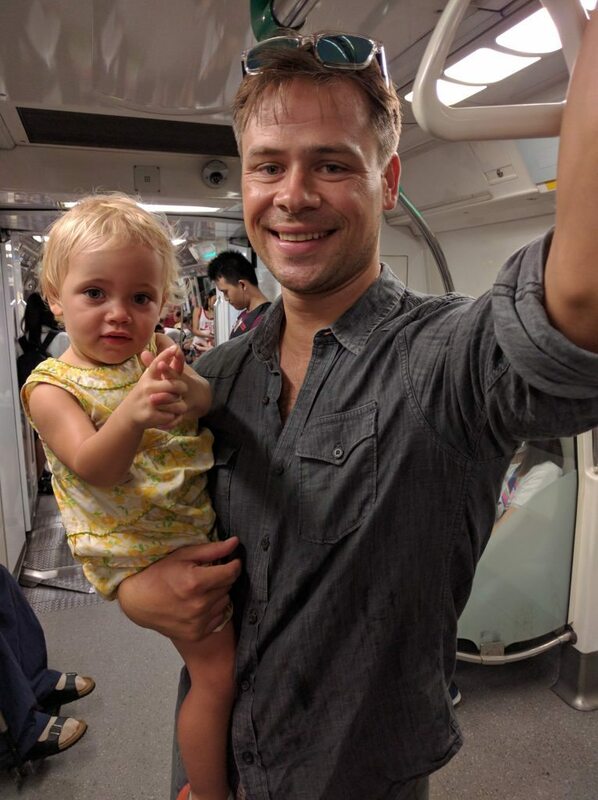 This visit to Singapore was both good and bad because on the good side, it made us realize that we are kind of ready to settle down and have a home that suits us and Freya… but on the bad side it made us realize that we are kind of ready to settle down and have a home that suits us and Freya. Hanging out at my cousin’s home was a very welcome treat after traveling for so long. It made us exhale for a moment, and think about our future as well.